original name Alfons Maria Mucha Art Nouveau illustrator and painter noted for his posters of idealized female figures. After early education in Brno, Moravia, andwork for a theatre scene-painting firm in Vienna, Mucha studied art in Prague, Munich, and Paris in the 1880s. 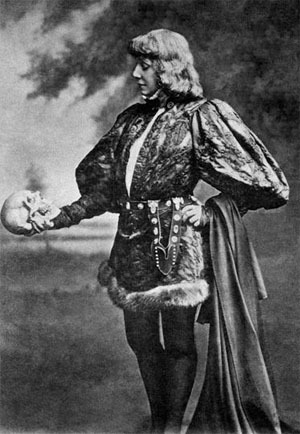 He first became prominent as the principal advertiser of the actress Sarah Bernhardt in Paris. 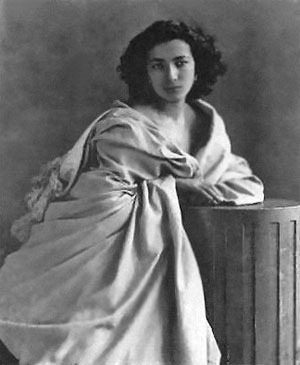 He designed the posters for several theatrical productions featuring Bernhardt, beginning with Gismonda (1894), and he designed sets and costumes for her as well. Mucha designed many other posters and magazine illustrations, becoming one of the foremost designers in the Art Nouveau style. His supple, fluent draftsmanship is used to great effect in his posters featuring women. His fascination with the sensuous aspects of female beauty—luxuriantly flowing strands of hair, heavy-lidded eyes, and full-lipped mouths—as well as his presentation of the female image as ornamental, reveal the influence of the English Pre-Raphaelite aesthetic on Mucha, particularly the work of Dante Gabriel Rossetti. The sensuous bravura of the draftsmanship, particularly the use of twining, whiplash lines, imparts a strange refinement to his female figures. Between 1903 and 1922 Mucha made four trips to the United States, where he attracted the patronage of Charles Richard Crane, a Chicago industrialist and Slavophile, who subsidized Mucha's series of 20 large historical paintings illustrating the “Epic of the Slavic People” (1912–30). After 1922 Mucha lived in Czechoslovakia, and he donated his “Slavic Epic” paintings to the city of Prague. 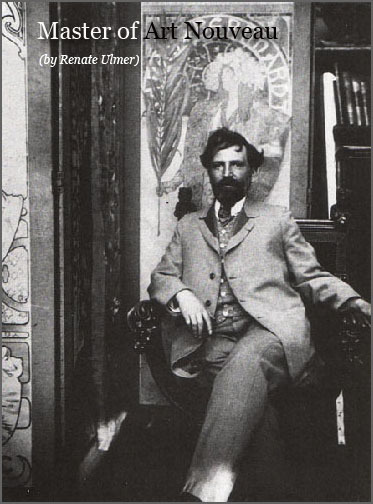 Alfons Mucha's is an art of seduction. decorative style add up to an unashamed act of temptation. Setting his sights on a traditional academic artist's career, Mucha left Munich in 1888 for Paris in order to continue his training at the Academie Julian. Tireless studies in botanical gardens, boulevards, markets and railway stations - where he would capture perspectives, gestures and movements in his sketch-books - enabled him to develop, in addition, a virtuosity as a graphic artist. 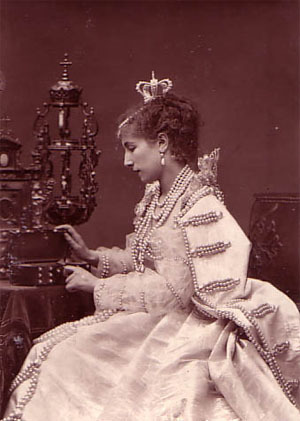 During the early 1890s, it was this that secured him a living as a talented, albeit conventional, illustrator for magazines and fashion journals. 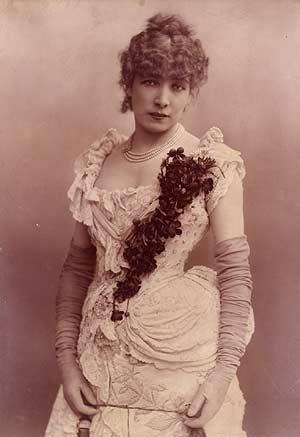 His breakthrough came with his first lithograph poster for Sarah Bernhardt and her Theatre de la Renaissance. The anecdote attached to this is pithy enough - the emergency commission executed more or less overnight - but it is now somewhat hackneyed and its absolute truth no longer taken for granted; still, there is no doubt that it did represent a turning point in his career. The poster in question, advertising Victorien Sardou's Gismonda, appeared on the streets of Paris in the first week of January, 1895, and caused a sensation. The novel format - narrow and upright - with its almost lifesize likeness of the celebrated tragic actress, produced a singularly dramatic effect and impressed all who saw it with its wealth of well-chosen colour. The basis of the motif was the solemn procession scene from the final act of the play, which also determined the stylistic conception of the poster: the sumptuous, priestly-vestment-like costume, the symbolic palm-frond and the mosaic-like background with its hint of a halo all suggest a sacred atmosphere, reflecting not least the veneration of the actress as a cult figure, the muse of the belle epoque. 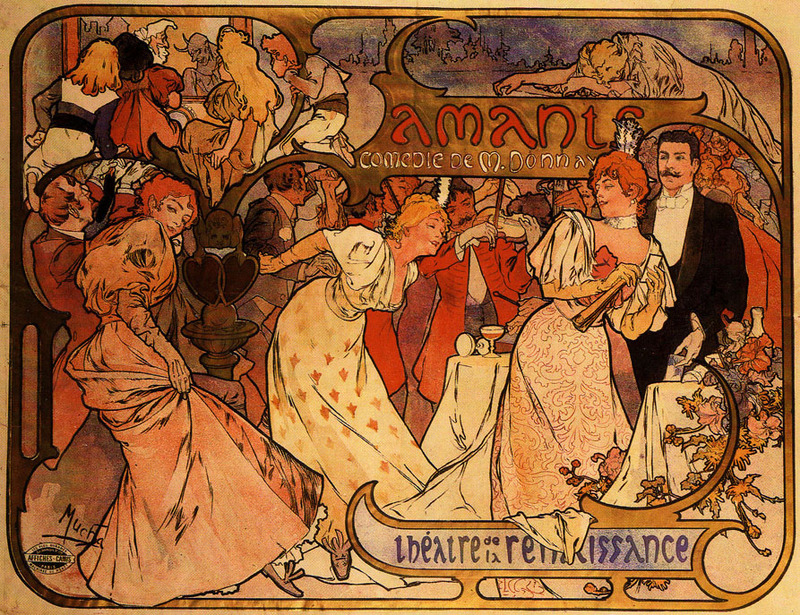 This theatrical poster continues even today to be adduced time and again as a prime example of the modern conception of the poster; for Mucha, it represented a surprising step - in view of his earlier work - towards an inimitable personal style. 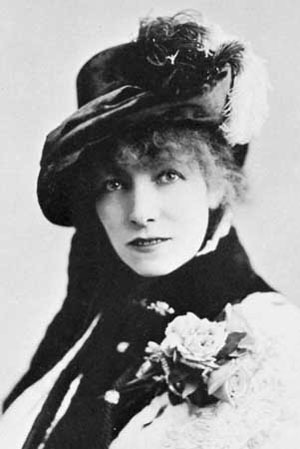 The pictorial representation of her dramatic art had such a persuasive effect on Sarah Bernhardt that she immediately signed an exclusive contract with him for six years. 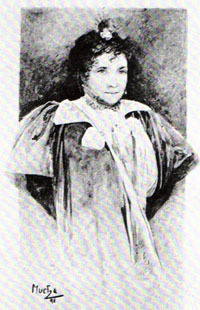 The theatrical posters he produced during this period - La Dame aux Camillas (1896), Lorenzaccio (1896), La Samaritaine (1897), Medee (1898), Hamlet (1899) and Tosca (1899) - form a cycle in themselves. With their narrow format - mostly two metres high - their frontal view with its stylized outline, their lettering in the upper and lower sections of the picture and the ornamental structuring of the field, they all obey a unitary stylistic and compositional principle. 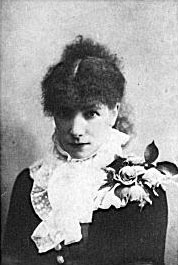 Mucha understood how to depict the fascination which Sarah Bernhardt, as the lead player in her productions, used to exercise on the stage. The posters he created for her spread her popularity far beyond the borders of France. Until 1901 Mucha was responsible not only for Bernhardt's posters but also for the stage sets and costumes of her Theatre de la Renaissance. This overwhelming success, which also brought him considerable social prestige, determined the nature and direction of his work for years. It could be said that he was predestined for this work ever since his first artistic employment: from 1879 to 1881 he had worked as a junior in a Viennese studio specialising in stage sets. There is no doubt that he understood how to arrange scenic events in an effective manner. Conversely, the theatre was also a source of inspiration for him. It gave him the ideas for the symbolic gesture-language of his figures and their grandiosely fantastical costumes. It was on this foundation that Mucha built a style which successfully united the elements of various epochs with contemporary Art Nouveau decorative art. A further source was provided by the centuries-old tradition of sacred art: having grown up in a Roman Catholic environment, Mucha had been fascinated since childhood by church ornaments and religious rites and ceremonies. These impressions were reflected in the sacred aura radiated in varying degrees by many of his posters. Thus it is not just the attitude and costume of individual figures that are reminiscent of the depictions of saints in medieval, Baroque and neo-Gothic art; ornamental details, too, such as the recurrent motif of a halo-like circle behind the head, the mosaic patterns and the crosses are all unmistakably drawn from the field of religious art. In addition, Mucha, in common with many other artists of the time, was unable to ignore the influence of Far Eastern art, newly rediscovered as it was towards the end of the 19th century. Above all, the Japanese woodcut, with its linear emphasis together with its exploitation and stylistic reshaping of the forms of nature, was to point the way ahead for the exponents of Art Nouveau. However, the most fertile soil for Mucha's art was the Symbolist movement. 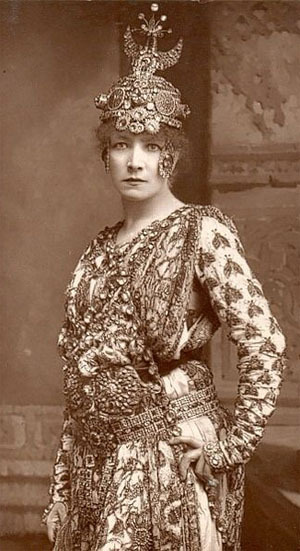 it is the only one not to depict the figure of Sarah Bernhardt. also diverge from the schema established by Gismonda. conveys something of the sophisticated flair of the belle epoque. the large-scale figure, depicts the character in dark Renaissance clothing, contemplating the murder of Duke Alexander. The tyrant himself appears in the upper part of the picture in the form of a dragon. well as for the soft and subtle coloration. Against the back-cloth of a starry night sky, Alexandre Dumas' Lady of the Camellias appears ''shrouded in an airy white gown, lost in the ecstasy of her passion", as a contemporary critic put it. 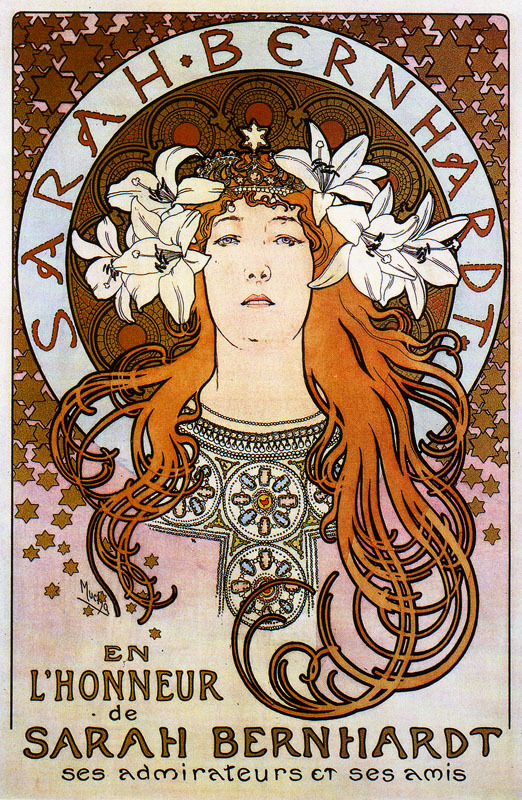 Sarah Bernhardt had a particular liking for this poster, using it again for her American tour of 1905-06.
bust resembles an enlarged detail of one of the vertical-format theatrical posters, and uses the elements with which Mucha typically stylized the celebrated muse of the belle epoque into a cult figure: behind the head is a circle resembling a halo, and the dress is inspired by medieval depictions of saints.